By Anonymous, I am a dieter, in my life I have lost a top amount of 40 lbs. This list includes nourishing meals or snacks that won't pack on pounds, yet will feed you with vitamans and other essentials. The selections also stave off hunger with one or more of three secrets going for them. 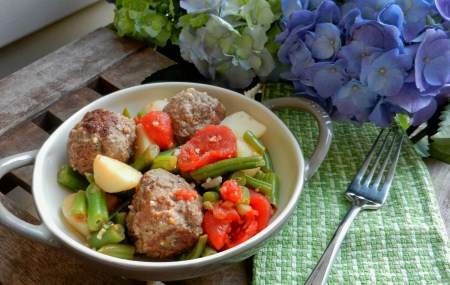 One secret is probably well know by most dieters and that is of the inclusion of protein in your meals and snacks. 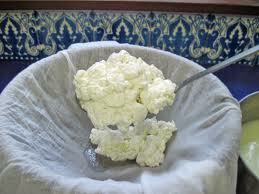 The second item is something you have probably also become familiar with and that is the inclusion of fiber. The surprise will be to include fat with your meals or snacks not that infrequently as fats fire up your metabolism carrying fat busting hormones to the proper destinations, you just have to use small quantities and aim for the unsatuarated kind. You will need about five ounces of liquid which can be water, diet soda, fruit juice, a mixture of these, plain low fat yogurt or milk. You won't want to mix the milk with anything other than water though or it will curdle. 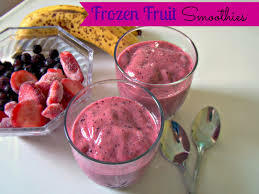 To the liquid you will add about 3/4 cup of frozen fruit which can be anything you like from this list; grapes, peaches, strawberries, raspberries, applesauce, mixed berries, pears or bananas. To this you will add a sugar substitute that is equivalent to about 3 Tbs. of real sugar and several ice cubes one at a time blending after each addition of fruit or ice until almost smooth. In the final blending, blend until smooth. If it is too thin add another piece of ice or two and if it is too thick add a couple Tbs. liquid, not too much though you want it thick. You will feel like you are having a thick malt, not even on a diet! To roast a spaghetti squash cut the squash in half, lightly oil the surface of the pan you place each half face side down in. Bake at 350 degrees or a little slower for an hour add in a little water to the dish, probably a square or rectangular chafing dish, about halfway through cooking. After an hour remove from the oven and test with a fork the squash should separate into spaghetti like strands readily with this fork and feel tender when you insert the fork. If you need a few more minutes of bake time be sure to add a little water to the dish. 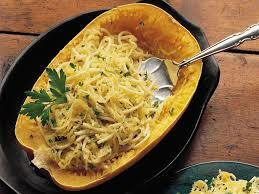 To the roasted spaghetti squash from which you have removed the squash from its rind, you will add a spaghetti sauce. For this choose a meat free spaghetti sauce such as Hunts in the 16 ounce can and allow yourself 4 or 5 ounces on your squash. Smother this with about an ounce of low-fat, fifty-sixty calories per ounce, American cheese and you have a delicious hearty diet meal that is packed with vitamin A and C.
You will need frozen whole strawberries which are available at most grocery stores and a pint or quart of cottage cheese, plus, the same amount of plain low-fat yogurt, this depends on how many times you plan on eating this at the moment before the milk products spoil. In a bowl or some kind of serving dish combine cottage cheese and yogurt in equal amounts, or, even more slimming is one part cottage cheese to two parts yogurt, plus, about 8 large frozen whole strawberries. 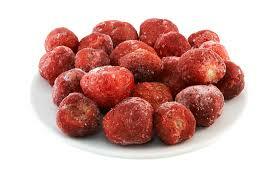 Do not wait for the strawberries to thaw eat them frozen as they are so filling like this. 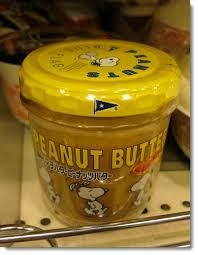 With this you can have a heaped tablespoon of almonds or dry roasted nuts for additional satiation. This is a yummy parfait sensation to eat and super healthy with calcium, fiber and Vitamin C.
You need a microwave oven, some non--stick cooking spray, peanut butter and processed cheese singles to make a Giant Cheese Penny. Take a microwave safe plate and put a very thin coat of non-stick spray on it. 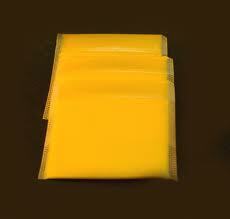 Open the cheese and stack about one and a half pieces on the plate or the amount that makes an ounce according to the label, rewrap the excess in the original wrapping. Put it in the micorwave on a medium setting one minute or plus 5 more seconds until it is crispy around the outer edges. Remove from the microwave as it will continue to crisp a little bit more outisde of the oven. Now, spread a thin layer of peanut butter, preferably natural as this is more filling, on this cooled 'cheese cracker' with or without a thin layer of margarine or sugar free fruit only fruit spread. Have with a low calorie lemon iced tea. Here you have protein for muscle tone, calcium for strong bones and fat for proper hormonal functioning, a healthy treat! 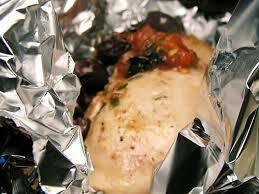 Roasting chicken in a foil packet smells great and tastes even better. Simply take a 5-6 ounce chicken breast with the bone, as this saves on the budget, and wrap securely in a packet of foil being careful to fold the edges securely all around and seasoning the breasts before you close the packet with you favorite seasonings such as salt, pepper, tiny slivers of onion or peppercorn and so on. 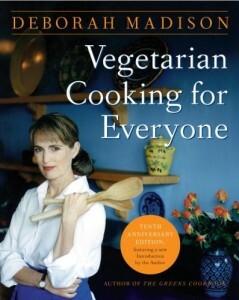 While the chicken is roasting in its packet get a big skillet and braise a large pot of vegetables. A good hearty pot can include sliced cabbage or green beans with carrot pieces, onion, maybe some peas and salt and pepper. Black pepper is helpful in increasing the metabolism, so try to use some. If you choose sliced cabbage this will take about an hour just as the chicken packet will, you could also substitute cauliflower for the cabbage and this will take about an hour to be done. If you choose the green beans it will only be about twenty minutes until the vegetables are tender so just keep them on the warmer. This is easy to fix, and easy to clean up afterwards, if time is a drawback you can make extra for another time and warm it up the next time. This is a very lean meal, if you aren't eating ultra low-carb you might like two or three crackers with it. No soft bread, this is a diet! You can dedicate yourself to finding meals that will whittle your waist or the waist of your friends or family and include these meals more and more on the menu over other more fattening meals over time. Remember you are feeding your body what will prevent problems as you age. It is probably important to splurge, now and then too as emotions also trigger good hormones. Just don't spurge too often or you will defeat your own purpose. My favorite treat from this list is the strawberries and cottage cheese!